STRETCH GOAL #3 – One more goal! We are rapidly racing towards the end of the funding period of the Kickstarter campaign, and we are delighted to have reached the £30k mark; this means our project is more than 150% funded! WAY past cool! We have been VERY busy since our last update, and we are pleased to say we have a whole host of Special Guests lined up for announcement for Summer of Sonic 2016 – most of which will be first time guests at the event! We do however have even more grand ideas in the pipeline! Our last stretch goal is £32k. We are already very close to this final target! If we can reach this final amount, we have a special mystery announcement that we have lined up for the end of the campaign – lets make one last push to our final goal! We are now down to our last few invitations for Summer of Sonic 2016, as you might have noticed from our shifting of reward numbers around! If you are still thinking about Summer of Sonic we suggest you pledge very soon, as they may not last to the end of the campaign! If you need a specific amount of invitations, but there is no availability for the number you want, please drop us a message – we can easily move invitations from one tier to another in order to allow as many fans to come to the event as possible. This excludes tiers that include VIP packages and 25th anniversary coins unfortunately, which are now all gone. Thank you all once again for your incredible support of Summer of Sonic – we are getting very excited about what we have lined up for the day, and we hope you all are too! STRETCH GOAL #2 MET! Guest Announcement #3: Mike Pollock! The Summer of Sonic Kickstarter has passed Stretch Goal act 2! Once again, we are stunned at how fast we are reaching these stretch goals, with each one allowing us to bring more and more to the Summer of Sonic 2016 experience. On that note, we have ANOTHER guest announcement to make! If you hadn’t guessed from our not-so-subtle clues, our next Summer of Sonic guest is Mike Pollock, who makes his first special guest appearance at Summer of Sonic 2016! Mike is the longest running western voice actor for Sonic the Hedgehog, having provided the voice of Dr Eggman since the Sonic X TV series, airing back in 2003. 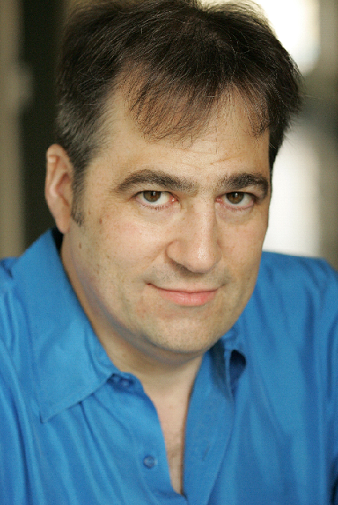 Mike has an impressive resume of voice acting credits to his name, including work on the Pokémon and Yu-Gi-Oh! franchises. Come along for your chance to meet Mike at Summer of Sonic 2016! 25TH ANNIVERSARY COINS – LAST CHANCE! We have a very small amount of 25th Anniversary coins that will be made available today at 6PM BST. This will be your very last chance to pledge for a reward tier with the coin reward, so if you really want one we suggest you grab one as soon as they are added tonight. OVER 80% OF SOS 2016 INVITATIONS GONE! If you intend on coming to Summer of Sonic 2016 – pledge now! More than 80% of our invitations have been pledged for, and we are on course to sell out! Stay tuned for news on stretch goal 3! GOOD… GREAT… AWESOME! OUTSTANDING! AMAZING! We cannot believe that hours after announcing our first stretch goal…it was totally smashed! If you blinked, you missed the last 10 VIP invitations zoom off to 10 very lucky and VERY generous backers…we hope you guys are especially looking forward to your Summer of Sonic experience! 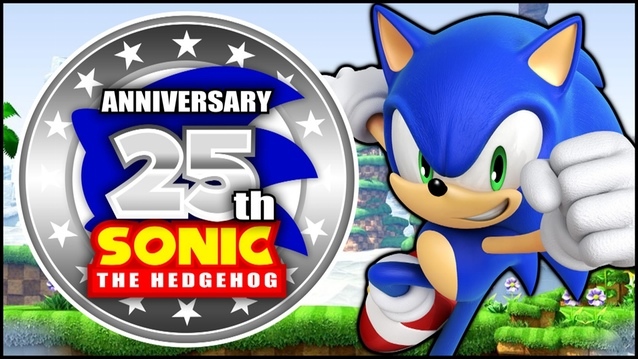 The 25th anniversary coins up for grabs have already speed off at Sonic speed as well!!! The voice of Crush 40, Johnny Gioeli, returns once more to Summer of Sonic! Gioeli made his Sonic debut back in 1998, thundering into Hedgehog history with his soaring vocals on the theme of Sonic Adventure, Open Your Heart. 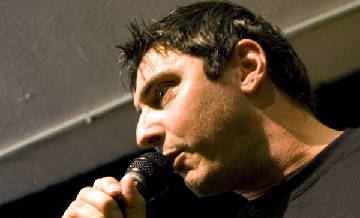 Since then, Gioeli and Senoue have made their mark in the Sonic universe as super group Crush 40, creating and performing many vocal tracks on the biggest games in the series. Get ready to rock out once more with Crush 40 at Summer of Sonic 2016! With stretch goal #1 reached, why stop there? OUR SECOND STRETCH GOAL TARGET IS £27,500! If we can beat our next target, we will be able to announce another EGG-citing guest – we hope you will all make your VOICE heard and help us to our goal! See you at the goal post! We are so pleased to have beaten our funding target already, but we still have lots of aspirations for Summer of Sonic…and that’s where you come in! OUR FIRST STRETCH GOAL TARGET IS £25,000! If we can manage to CRUSH this next target, we will be SINGING from the rooftops! We have already announced two guests, and we have other big names to announce soon as well…but if we can reach this goal, we will be able to announce ANOTHER very special guest appearance at Summer of Sonic 2016! NEW TIERS & 25TH ANNIVERSARY COIN! We are overjoyed to be able to offer a very special item to a lucky few backers! SEGA of America have very generously offered us a number of 25th anniversary collectors coins to help us with our fundraising! These coins will be very limited, so you will need to be quick off the mark in order to snag one! Images of the coin will be available soon! We will be adding these tiers at approximately 9:30pm this evening (about 1 hour from this post!) so stick around if you are desperate to own one! VIP INVITATIONS – ONE LAST CHANCE! Our last VIP Invitations will be made available at 9:30pm tonight! These last few invitations will also include the collectors coin. Those who have already backed at the SONIC GENERATIONS tier – we will have an update specifically for you soon! Phew! That’s all for now! Keep pledging, keep sharing the Kickstarter page, and lets blast our way to the next target at Sonic speed! We are pleased to be able to make our first guest announcements for Summer of Sonic 2016, and would like to welcome back two Sonic Team veterans to the event! Joining Sonic Team all the way back in 1993, Iizuka-san was the Senior Game Designer for Sonic 3 & Knuckles and Lead Game Designer for Sonic Adventure 2 to name but a few of the game credits to his name. Iizuka-san is the current Head of Sonic Team, and has been the Producer for all main Sonic titles since 2010. 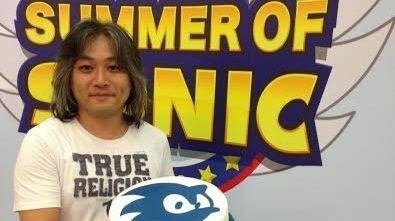 We look forward to once again hosting Iizuka-san at Summer of Sonic! Picking up the reins as Sound Director for Sonic Adventure, Senoue-san helped redefine the sound of Sonic the Hedgehog titles for the 21st century. He has now become synonymous with the series as both composer and performer, as well as playing lead guitar in the fan favourite rock band Crush 40. We look forward to Senoue-san performing once more at Summer of Sonic! Remember to check back tomorrow for more exciting updates! SUMMER OF SONIC 2016 FUNDED! Hey all – Adam and Svend here! Wow! We are absolutely stoked that we have smashed our funding target for Summer of Sonic 2016! We would like to express our gratitude, on behalf of ourselves and the entire Summer of Sonic team, to all those who have pledged so generously and helped get us to our funding goal so quickly. We are honoured that so many of you have faith in Summer of Sonic 2016 even before we have made any announcements regarding guests or events. We have received a boatload of kind messages conveying well wishes and joy that we are bringing the event back in the 25th anniversary year, and it has reminded us that Summer of Sonic means a lot to so many.Thank you all so much! So…what next? Although we are coming up to half way through our campaign, we are far from finished with fundraising! Over 650 invites have been pledged for so far, and more are being pledged for every day! If you are still wishing to visit Summer of Sonic 2016, we suggest pledging sooner rather than later; considering the imminent announcements, they won’t last long! Remember, Kickstarter will not take payment until after the Kickstarter concludes, so don’t wait for payday in order to pledge! Pledging for extra T-Shirts: Many of you have asked if you can pledge for extra T-Shirts to your tier…and you can! Simply add £15 to your pledge – every extra £15 pledged above the minimum amount required for that tier will get you one extra T-Shirt! Guest Announcements! Keep your eyes firmly fixed on our social media accounts and our website – we will be announcing our very first guests! Stretch goal #1! We are overjoyed we have already reached our initial funding target, but aspirations won’t stop there! We will announce our first stretch goal on Monday 18th of April! New Reward Tiers! Any die-hard Sonic the Hedgehog merchandise collectors will want to be sat on our Kickstarter page on Monday 18th of April, as we launch a some VERY exclusive tiers which will include a VERY limited edition piece of Official Sonic the Hedgehog 25th Anniversary merchandise! They will go fast, so if you want to get your hands on one, we suggest you keep your eyes firmly glued to the Kickstarter that day! VIP Tier – one more chance! We will be releasing the last 10 VIP tier invitations on Monday 18th of April, after which we will be offering no more! Don’t miss your chance for an incredible Summer of Sonic experience! Thank you all again for all of your support, and keep sharing our Kickstarter to push us towards our first stretch goal! Over Half Of SOS 2016 Invites GONE! New Tiers Introduced! Hey all! Adam and Svend here again from the Summer of Sonic team! We are so pleased to see that even after the initial rush, our project still has fantastic momentum, and at day 5 we have already exceeded the 80% funding mark! This is absolutely fantastic news, and means we should hopefully reach our target in a matter of days. A huge thank you to everyone who has pledged so far; it is great to see that so many support Summer of Sonic even before we start our ever-growing list of exciting announcements for special guests, activities and much, much more! We have now had pledges for over half of the number of invites we can offer for Summer of Sonic 2016. Again as we have detailed in our project description, Summer of Sonic 2016 is purely invite only, and the only way to receive an invite is to help us make the event happen through pledging. We have received a number of messages asking if it is possible to receive an invite to Summer of Sonic 2016 after the Kickstarter campaign concludes – unfortunately this will not be possible, as we have no way to guarantee we will have any space left by the time the Kickstarter ends. If you are considering coming to Summer of Sonic 2016, our suggestion is to pledge now and avoid disappointment! Again, please make sure you keep coming back to this Kickstarter Page, even if you’ve already pledged, because we have some ideas for new reward tiers that will definitely get some of you very excited! Please keep sharing our Kickstarter campaign page – the more we can raise, the bigger and better Summer of Sonic 2016 will be. Let’s race towards our target at Sonic speed! 24 Hours Since Announce… WOW! Hi guys, Svend and Adam here from the Summer of Sonic team. Since we announced the 2016 convention and launched the Kickstarter project yesterday, we’ve been keeping an eye on the interest from the Sonic community… and we are honestly blown away by the initial response! We reached half of our target goal in just five hours, and right now we’ve crowdfunded more than £13,000! That’s huge, and an incredibly promising start to our journey! Thank you so much for your continued support; as we’re a show by fans, for the fans, we’re touched that you all want to be a big part of the show. Over the next week, the core Summer of Sonic team will begin (virtually) sitting in a (virtual) brainstorming room, planning out ideas for the activities that we want to set out for the day. We have some broad ideas already sketched out, but we don’t want to put the cart before the horse – you’ll hear more from us once we’re able to hit our target goal! Do please make sure you keep coming back to this Kickstarter Page, even if you’ve already pledged, because we have some ideas for new reward tiers (and, if we get that far, stretch goals) that we hope will surprise you! It’s all in aid of making Summer of Sonic 2016 the absolute best we can make it, so we hope you’ll stay excited with us! The Biggest Sonic Convention is Back… For One More Run! It’s been a while, but we’re back! To celebrate Sonic the Hedgehog’s 25th Anniversary, the Summer of Sonic is returning to host the biggest fan convention ever! Since 2008 we have been entertaining fans with a day-long party that allows the young (and young-at-heart) to come together and meet up – against an electric backdrop full of live music, art contests, official Sonic game demos and meet and greets with the celebrities behind your favourite franchise! After a two-year hiatus, we want to do it all again! But this time we need your help to make the show as fantastic as we can possibly make it. So we are introducing a Kickstarter project to Summer of Sonic 2016 in order to raise the funds we need to host an epic Sonic party right in the middle of London! We understand that in previous years, we have given away tickets for Summer of Sonic for free on our website; for 2016, we are selling entrance to the convention via our Kickstarter page. So if you’d like to help us host a great show, and get an exclusive invitation to a fully SEGA-supported event to celebrate Sonic’s 25th, we’d really appreciate it if you considered pledging to our project. We have set a goal that we feel is realistic for us to put on a show that matches the fun and excitement that we have hosted in the past, and we hope you’ll help us get there – together! We will of course look to updating the Kickstarter project over the course of its 30-day life too, so do keep an eye on the page for the latest updates. The full Summer of Sonic 2016 Official Website will be coming soon. Until then, you can find our Kickstarter page right here, where we answer all your questions about the show, including date and venue details: http://tiny.cc/sos16/. Thank you so much in advance for your support – from 2008 right through to 2016! Author SvendPosted on 2nd April 2016 21st April 2016 Categories SoS 20162 Comments on The Biggest Sonic Convention is Back… For One More Run! Livestream! Schedule! Floor Plan! Merchandise! Sonic Jump Fever Crowd Event and Sonic Dash Extreme at Summer of Sonic! RapidRun73 on Summer of Sonic SUCCESS! Sonic fan on Summer of Sonic SUCCESS! Tommy Williams on Summer of Sonic SUCCESS! Jared Thompson on The Biggest Sonic Convention is Back… For One More Run! 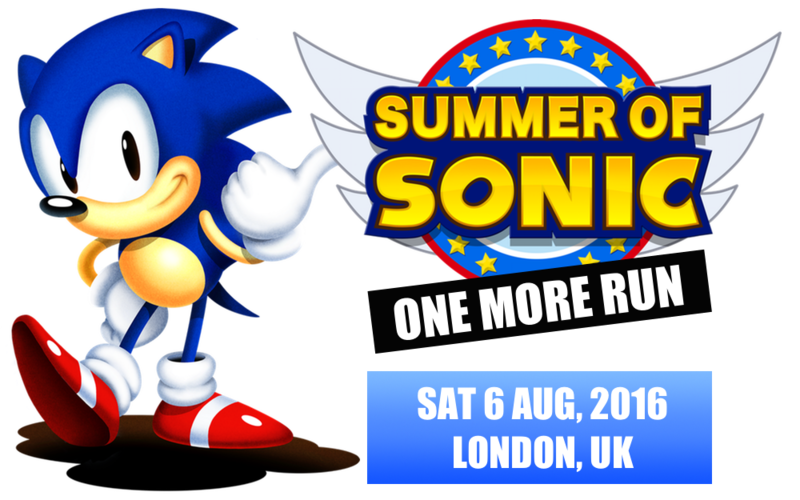 The Summer of Sonic 2016 is a convention based in London, UK. Event created by Svend Joscelyne, presented by The Sonic Stadium and the Sonic fan community. Supported by SEGA Europe, sponsored by the community via Kickstarter. Attendees of all ages are welcome, but visitors under 15 years of age should be accompanied by a suitable parent or guardian - the organisers accept no responsibility for those attending the event. Anything brought in by attendees to showcase are the sole responsibility of their owners. Be careful when meeting strangers you know online elsewhere; The Summer of Sonic is a safe neutral location for fans of Sonic the Hedgehog to meet up. All content copyright © The Summer of Sonic 2016, fan content published is the copyright © of respective artists and fans. Sonic the Hedgehog and all related characters are copyright © SEGA. All Rights Reserved. Website powered by WordPress.